After all this time, we are so thrilled to say that Bella Nova Chorus had it’s first rehearsal today! And talk about PROUD. Here’s the very first tag we EVER sang together. The very first noises we ever made as a chorus. Truly the beginning of something special. XOXOXO! We’re fuzzy, but we’re here! 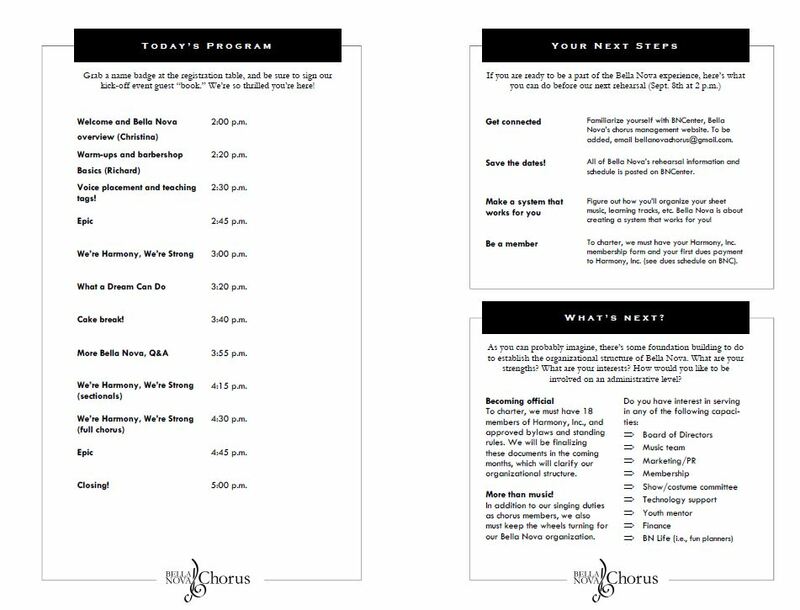 The program for the day! What fun! !